This past year I started playing Dungeons and Dragons. I have been playing in a campaign for about 7 months. My character is a 6th level elven sorcerer. When I first told some people about this, the main reaction was "wow what a nerd". Well I guess sitting around a table playing a game with 6-8 friends is nerdy, hear that all you jocks who probably don't read this blog, your are all nerds to. However, starting this week we are taking a break from our regular campaign and I will be DM'ing a campaign. In this campaign I will also be playing some characters, who will technically be NPC's. The first character is a Half-Dragon Goliath Barbarian. This effectively means he is incredibly good at smashing things, is hard to hit, can breath fire, and can fly. But enough about that. Dice. 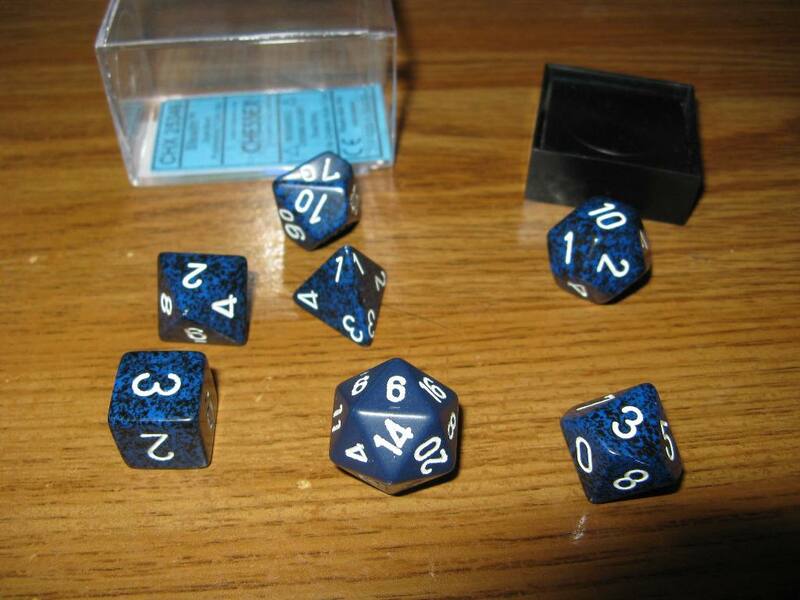 D&D runs with dice, the dice decide if you are successful, and than how successful you are and how much damage you do on attacks. I had bought a set of polyhedral dice when we first started playing. The DM requires a lot more dice than for a regular character. So I went online to buy some more dice. This being the internet I easily found more dice. 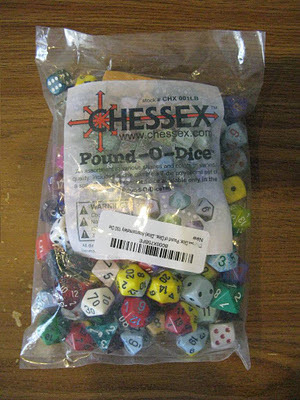 In fact a pound of dice. Now that is a lot of dice. 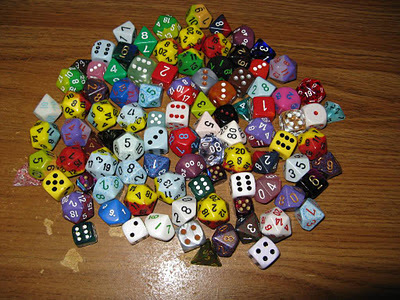 Collection of d4, d6, d8, d10, d12 and d20's. What is this d10 you speak of? Are Platonic Solids not good enough for ye? On some of those weird dice, how do you decide which side is "up"? On the d4, the rolled side is actually the side under the die. I varies between d4's. Mine all have it so that the point in the air is the value rolled. I have a friend who has it so the one with the face down is the value rolled. I'm surprised no one yet mentioned that Goliath should be on the lookout for Davido, the sling wielding hobbit.